I recently completed a short term contract for Bluedrop Performance Learning where I worked with a team of instructional designers to develop an 80 hour retail sales training program for youth in Jordan. I was responsible for the development of the fourth module (of five modules) which focused on sales objections, unsatisfied customers, and proper closing techniques. 1. Two e-learning modules which were built in Storyline. These modules included interactive activities, practice activities and a scenario based quiz to allow learners to apply their knowledge. 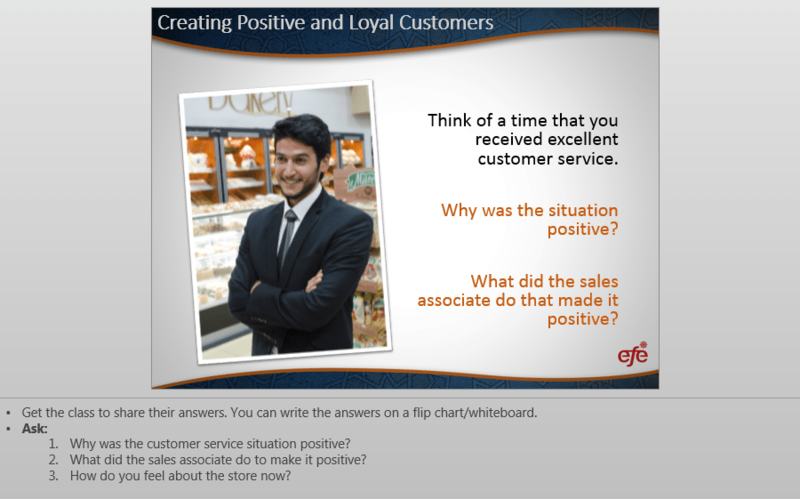 Types of Objections and Unsatisfied Customers – This online module categorizes the different types of objections that occur in a retail environment, and the types of unsatisfied customers. Tips for handling each type are provided, including Do’s and Don’ts. 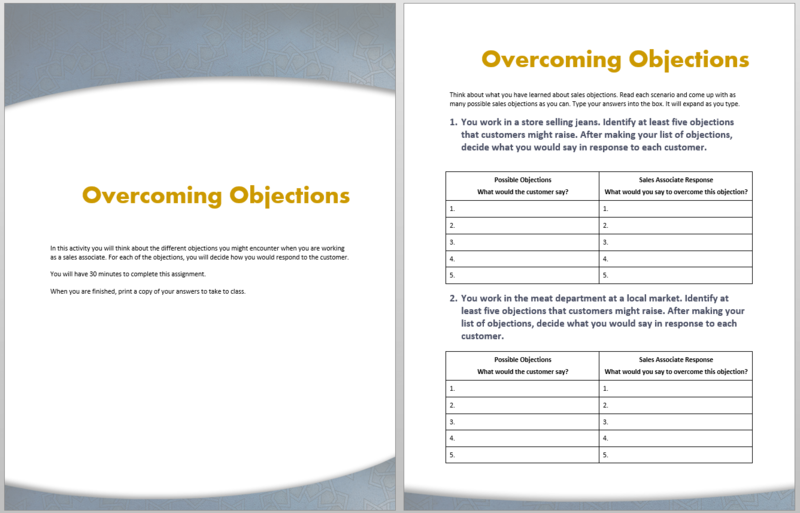 Overcoming Objections – A practical, scenario based module that helps learners apply the knowledge the learned in the previous online module on how to overcome sales objections. Learners are given a description of a retail environment and asked to identify objections that is likely for that store/environment. They are then asked to identify appropriate responses for each objection.